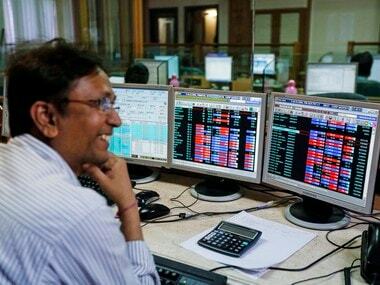 Mumbai: The BSE benchmark Sensex staged a strong comeback by climbing over 444 points to trade above the 34,000-mark in opening trade Wednesday following fresh spell of buying by domestic investors, triggered by fall in global crude prices. Besides, positive leads from most other Asian markets also fuelled the uptrend. 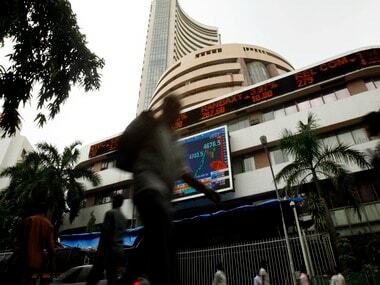 The 30-share Sensex climbed 444.39 points, or 1.31 percent, to 34,291.62 with all the sectoral indices led by realty and oil&gas trading in the positive zone, by rising up to 2.11 percent. The gauge had plummeted over 1,315 points in the previous four straight sessions. The NSE Nifty was trading above the 10,250-mark, up about 130 points, or 1.28 percent, at 10,276.65. 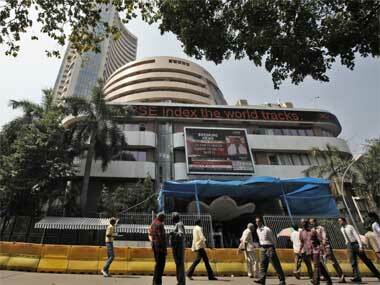 The benchmark Sensex pared some gains and were trading higher by 0.69 percent or 233.02 points at 34,080.25 at 0955 hrs. The wide-based Nifty was trading at 10,216.75, higher by 69.95 points or 0.69 percent at 0955 hrs. Meanwhile, the rupee strengthened by 42 paise to 73.15 against the US dollar in early trade in the forex market after global crude prices eased. Brokers said besides rupee recovery, unabated buying by domestic institutional investors (DIIs) coupled with covering-up of short positions by speculators too supported the rebound. In the Sensex pack, prominent gainers were Tata Motors, ICICI Bank, Asian Paints, Bharti Airtel, Adani Ports, M&M, SBI, HDFC Ltd, IndusInd Bank, Vedanta Ltd, L&T, RIL, Axis Bank, ONGC, HUL, Tata Steel, Maruti Suzuki, Yes Bank, Hero MotoCorp and HDFC Bank, rising up to 1.96 percent. Shares of oil marketing companies such as HPCL, BPCL and IOC remained strong and rose further by up to 3.07 percent on falling global crude oil prices. Brent crude prices fell 4.37 percent, biggest single day's fall in three months to USD 76.24 barrel Tuesday. The benchmark oil was trading at $76.79 barrel in early trade Wednesday. Stocks of aviation companies - Spicejet, InterGlobe and Jet Airways - too fared better, gaining up to 3.35 percent, supported by falling crude prices. Meanwhile, DIIs made purchases worth a net of Rs 116.41 crore, while Foreign institutional investors (FIIs) sold shares to the tune of Rs 340.35 crore Tuesday, provisional data showed. 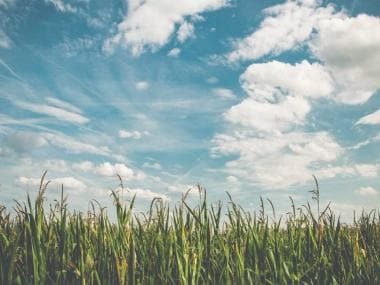 Elsewhere in Asia, Shanghai Composite Index surged 1.22 percent, while Hong Kong's Hang Seng was up 0.97 percent in their late morning deals. Japan'sNikkei up 0.58 percent, while Taiwan gained 0.03 percent. The US Dow Jones Industrial Average fell 0.50 percent in Tuesday's trade.